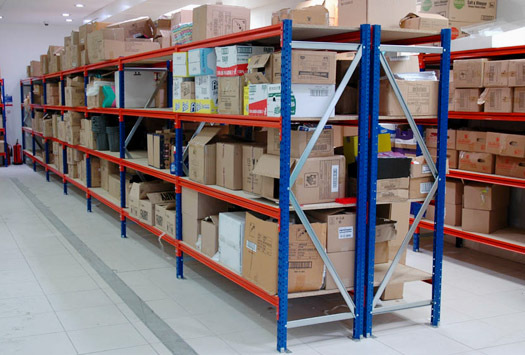 Longspan racking systems can be used in stockrooms, workshops, factories and warehouses alike for the storage of large, bulky and heavy items. These heavy duty shelving bays are basically scaled down versions of pallet racking but for hand loaded applications only. 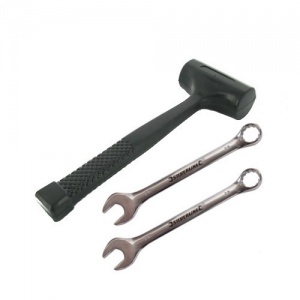 Although the end frames need to be assembled, doing so is easy (especially if you purchase our Longspan Assembly Kit) and will give you a great appreciation of the strength and build quality of the components used. 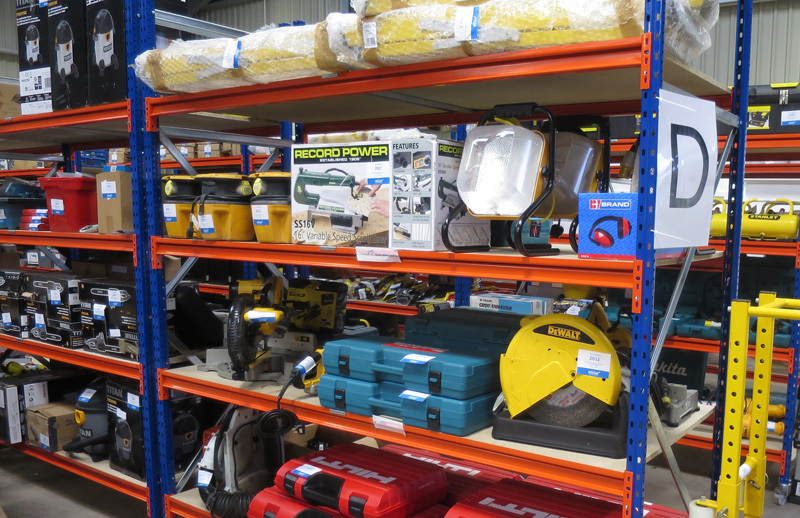 Once built you can confidently load up the shelves to make best use of your new racking system. 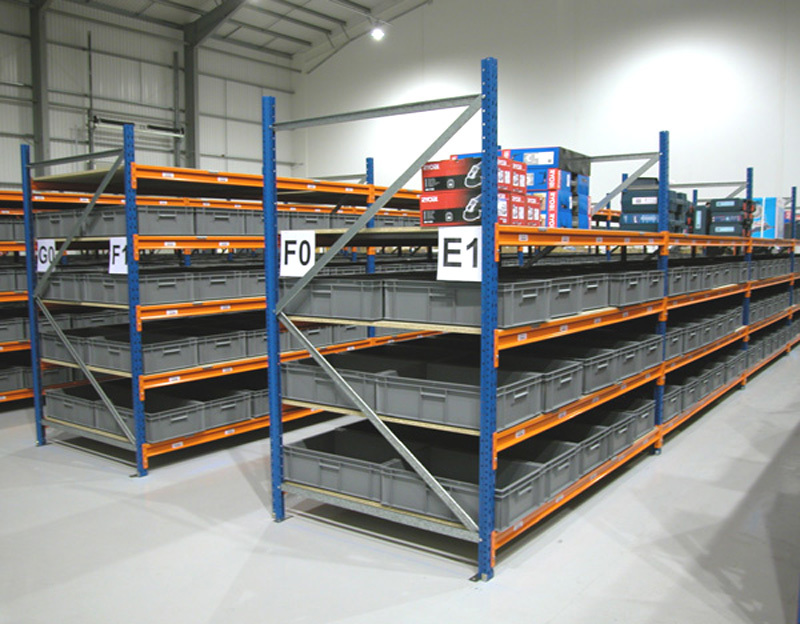 Choose starter bays for individual standalone units or a combination of starter bays and add-ons to create a longer run of fixed racking. 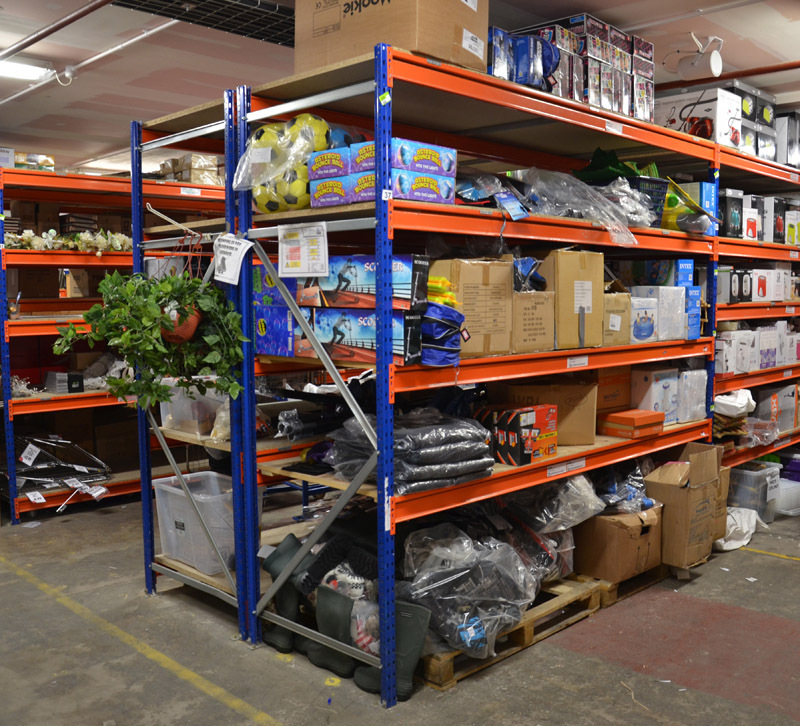 This 2 Metre high bay is perfect if you need quick and easy access to the highest shelf without using a step ladder. 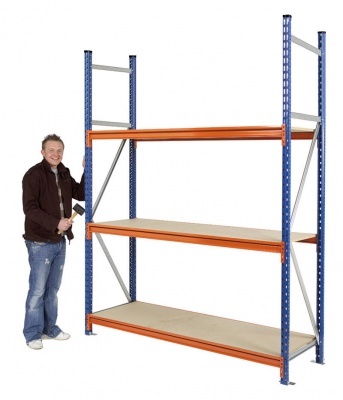 With 40 slots set at 50mm intervals you can position the shelves exactly where you need them. 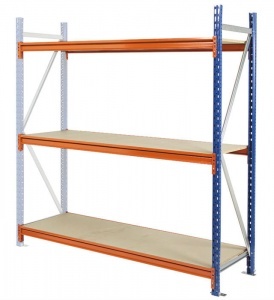 If you are adding extra shelf levels, please be aware that each beam takes up 3 of these slots. 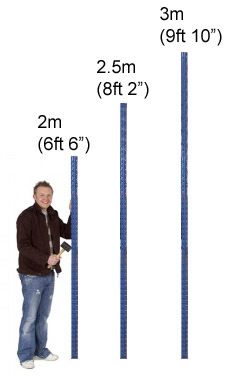 The overall bay width is shown above for each size option. 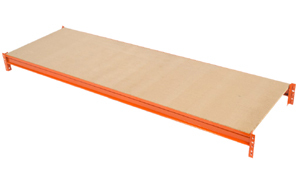 Large chipboard decks (especially those over 2m in length) may be supplied in 2 pieces. 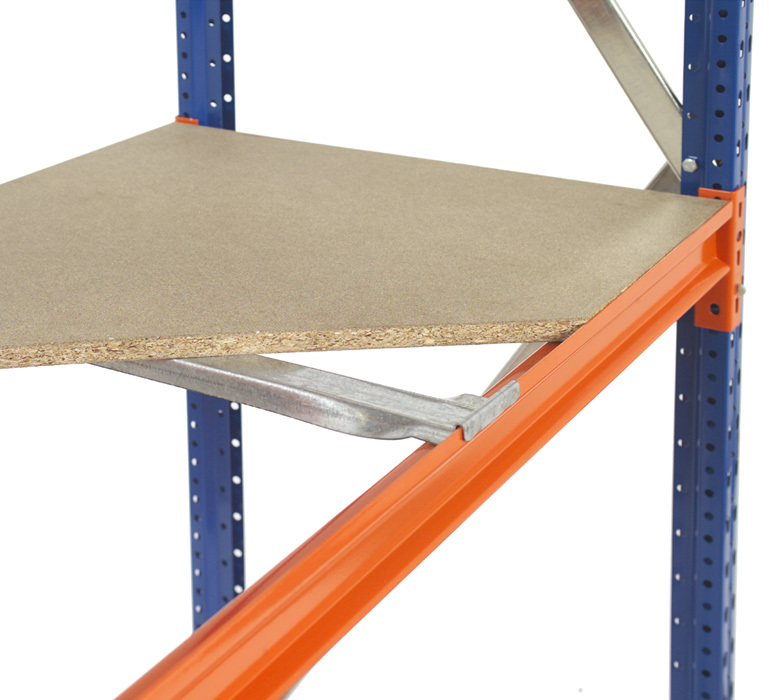 Please contact us if you need single piece boards but this may attract a delivery & handling surcharge. 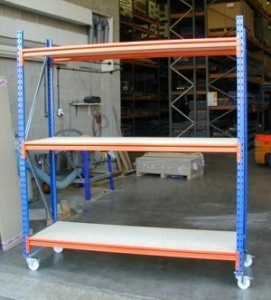 *Bay capacity is subject to the first level being less than 1000mm from the floor. To calculate the overall length of a shelving bay please add 60mm for each upright. Please also allow 30mm per end of each run for the floor fixing feet. 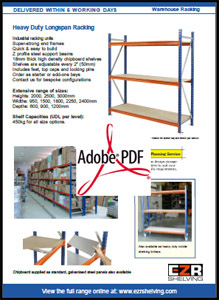 The table below shows the overall length of shelving runs in mm that use a single starter bay and subsequent add-ons. 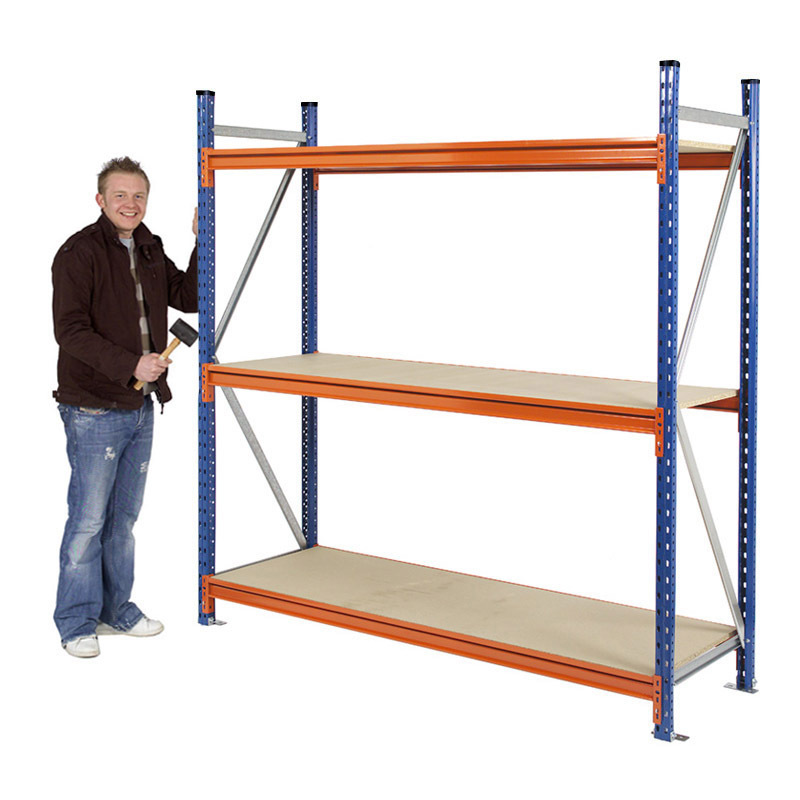 If you have any doubts as to whether your new racking will fit please call us on 01993 779494 so that we can double-check the dimensions. 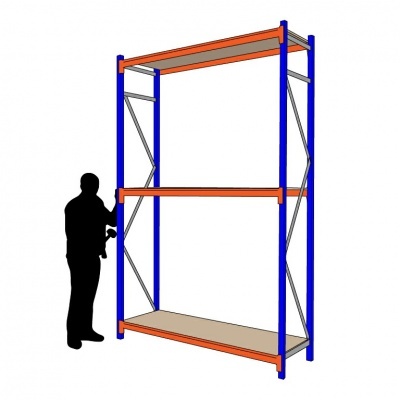 For the overall depth of a shelving bay please add 10mm to the nominal size specified.